– Bears Clinch! Remember that invite from WGN, it’s time. Wish us luck in Chris Harris’ contest too. The Winner of the Bear Down 2.0 remix contest is announced by Chris Harris on December 23’rd. Please comment and share. – Youtube video added below. The song continues to get regular TV play on WGN and we were invited to perform if the bears make the playoffs! Please comment and share. – The song was played on WGN this morning! WGN Morning News, which I wake up to every morning, played the song multiple times. It was a complete surprise to me but I managed to record it and will put it up soon. Our hope is to have the song played at games. 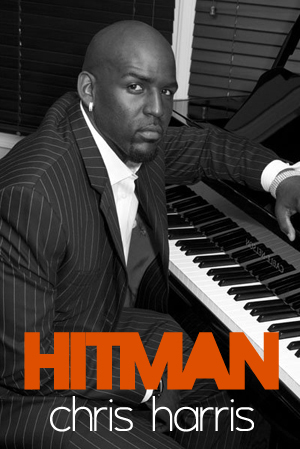 We wanted to have a clean hip-hop song that felt like an anthem and could pump up the crowd. 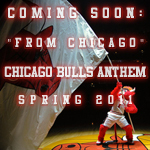 We recorded the song just a few weeks ago and has reached over a thousand 2300 fans online and at the bears tailgate. 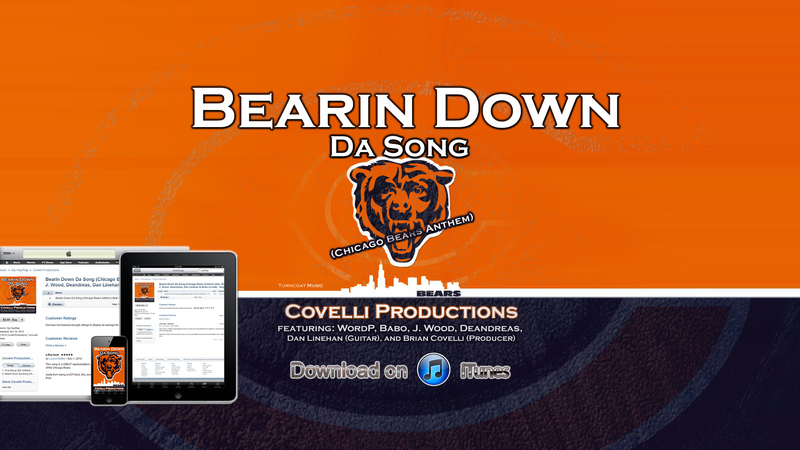 “Bearin Down Da Song” by Covelli Productions featuring Babo, WordP, J. Wood, Deandreas, and Dan Linehan (guitar). Where my monsters of the midway? We’re the best in the league on special teams true or false? And the city, the whole sport! Throw your hands up in the air, And represent Chicago Bears! Coming for the ring so BYE BYE! Ready run it back. Safeties and fumbles yeh we on all of that. Either you is or you’re not. Either you is or you’re not!!! I’ve had some luck with sports anthems in the past as my song with Dub Zero for my alma mater, SIU, is still being played as their warm-up/opening lineup song for basketball, football, and all other sports.